Cancer Genetics has been chosen by eFFECTOR Therapeutics to provide clinical biomarker services for eFFECTOR’s cancer-fighting lead product candidate eFT508, the companies said today, through a collaboration whose value was not disclosed. The companies said they will co-develop strategies enabling eFFECTOR to further develop eFT508 as a single agent and in drug combinations by implementing studies designed to aid in biomarker discovery and development, including immuno-oncology biomarkers. eFFECTOR said it has designed a biomarker strategy designed to show target engagement, inform patient selection and validate the drug’s immunological mechanism of action. These biomarkers allow for determining both circulating and tumor infiltrating immune cell types and their activation state in patients before and after treatment with eFT508 across the clinical program, according to the companies. eFT508 is now in Phase I/II clinical development targeting multiple solid tumors and lymphoma, and has been granted orphan drug designation by the FDA for the treatment of diffuse large B-cell lymphoma (DLBCL). 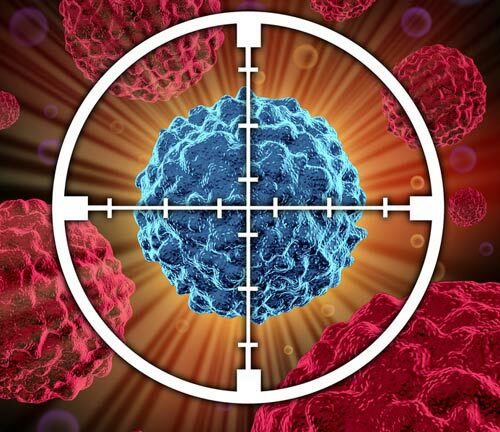 In preclinical studies, eFT508 has shown activity in multiple tumor models, and has established anti-tumor immune memory. eFT508 is a novel, potent and highly selective oral small molecule inhibitor of MAP kinase-interacting kinase 1 and 2. MNK1 and MNK2 integrate signals from several oncogenic and immune signaling pathways, including RAS, Toll-like receptors and the T-cell receptor, by phosphorylating eukaryotic initiation factor 4E (eIF4E) and other key effector proteins. That process selectively regulates the stability and translation of a subset of cellular mRNA that control cell signaling within and between tumor and immune cells, the tumor microenvironment and immune cell function. eFFECTOR focuses on discovering and developing selective translation regulators as a new class of small molecule therapeutics for cancer. The company’s drug candidates are designed to restore translational control to halt underlying disease mechanisms while preserving healthy physiological processes. In addition to eFT508 and eIF4E, eFFECTOR’s pipeline includes eFT226, a novel, highly potent and selective small molecule inhibitor of eIF4A (eukaryotic Initiation Factor 4A), an RNA-helicase required for efficient translation of key oncogenes.